I can’t imagine trying to eat or talk with those things in my mouth. America can hardly keep from harassing Donald Trump’s hairstyle. Can you picture how harsh social media would be on a president who would barely smile for fear of the look he would produce? It made me kind of glad that George lived before our age of Instagram and YouTube. Its easier to focus on the inner qualities that truly made him the best man for the job rather than being sidetracked by the exterior. As we explore DC, I’ll be posting photos over on our Instagram page. I’m excited to share our discoveries. If you want to follow along, head over there. It occurred to me you may not realize we also have a YouTube page. I’ve mentioned it in other places but I don’t know if I’ve talked about it here. My husband runs the YouTube helm. I am personally so thankful that he is finding the process of capturing our travels and editing them together enjoyable. Some things are simply best shared via video. I’m the one who moderates most of our comments there so I’d love to say hello to you over there! Without further ado, I’d love to share our most recent video from the Outer Banks of North Carolina. You may remember my recent blog post from the Outer Banks, now you can see the fantastic sunrise, join us as we visit the Wright Brothers Memorial and learn why Kill Devil Hills, NC is named as such. If you like the video, we’d love for you to check our our YouTube channel for more and subscribe so you can be notified when we add more. Typically I upload photos to our Instagram account within hours and I blog about a location within days. However, our videos get published a few weeks after the fact so don’t be confused if the photos you see on our Instagram feed or the places you read about here are much different from the location of our recently uploaded YouTube videos. Currently Trent is uploading about two videos a week. Chapter books: If you have a young tween or teen who is interested in historical fiction chapter books centered around George Washington, you might look into George Washington’s Socks. This time travel adventure sucked in my 13 year old boy and 11 year old girl in equal proportions. We picked up the sequel (George Washington’s Spy) today at Mt. Vernon and Ashlyn is already getting started. Picture books: So You Want to be President is super fun and filled with all kinds of facts that kids would enjoy. It was also a Caldecott winner for good reason–the illustrations are fantastic. Also, a friend of mine suggested the picture book Don’t Know Much About the Presidents by sending me a video of her young son narrating some of his favorite facts and stories from this book. I was already hooked and then I saw the price of just $3.49 with free Prime shipping and I just put it in my shopping cart–no more thinking necessary. It was at this moment that I remembered we don’t get mail at our current location so I’ll have to wait to push the purchase button until we leave DC *sigh*. So much for that impulse purchase. 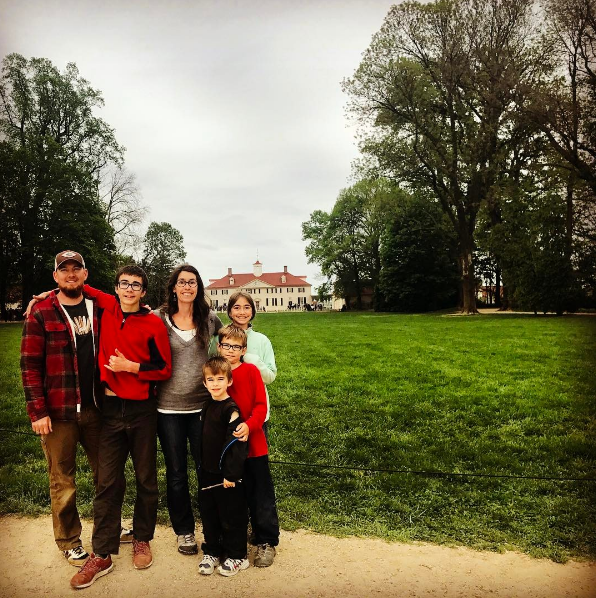 How fun that you were able to visit Mount Vernon! We have yet to go there. 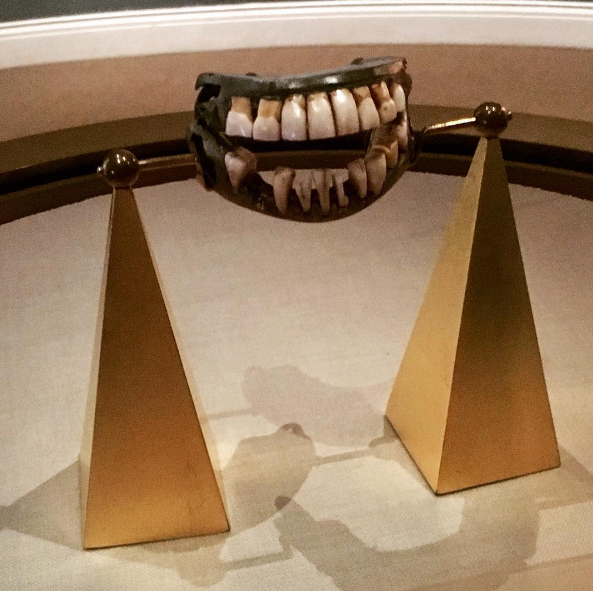 I love your thought on Washington’s teeth. Crazy right? Did they mention that he was told to brush with sugar for a time? My kids were taught that in school, before we homeschooled…and they’ve always thought that was the craziest thing! Oh gosh that would be so crazy if that were true (brushing his teeth with sugar)! I’d love to read more about that if you find any sources. I did some searching but was coming up blank and I didn’t notice anything about that while we were at Mt Vernon (although I could have just missed it). Previous Previous post: where is home when you are always on the move?